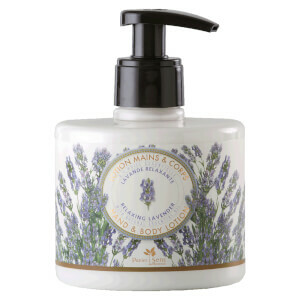 Envelop skin in the nourishing properties of Panier des Sens The Essentials Relaxing Lavender Hand & Body Lotion. Infused with relaxing Lavender Essential Oil, the lightweight daily cream delivers a cocoon of velvety softness, allowing Shea Butter and antioxidant Grapeseed Oil to melt in and deeply nourish. 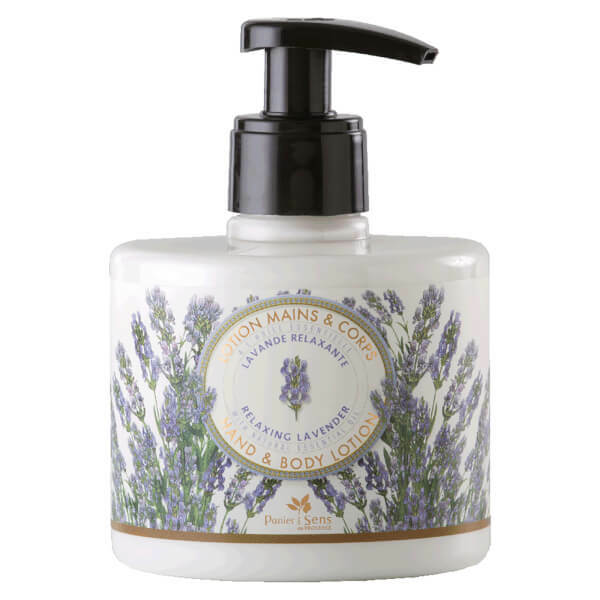 Inspiring feelings of wellbeing and serenity, the relaxing properties of Lavender will leave the skin and senses feeling calm and pampered. Aqua, Butyrospermum Parkii (Shea) Butter, Glyceryl Stearate, Vitis Vinifera (Grape) Seed Oil, Glycerin, Benzyl Alcohol, Ceteareth-20, Parfum (Fragrance), Olea Europaea (Olive) Fruit Oil, Cetheareth – 12, Cetyl Palmitate, Cetearyl Alcohol, Carbomer, Triethanolamine, Chlorophenisin, Allantoin, Decyl Oleate, Ethylhexylglycerin, Tocopherol (Mixed), Helianthus Annuus (Sunflower) Seed Oil, Tetrasodium Glutamate Diacetate, Sodium Hydroxide, Lavandula Angustifolia (Lavender) Oil.